Everyone has experienced an unruly child in a public place, but one man was so fed up by a child whining nearby that he took matters into his own hands to get revenge. 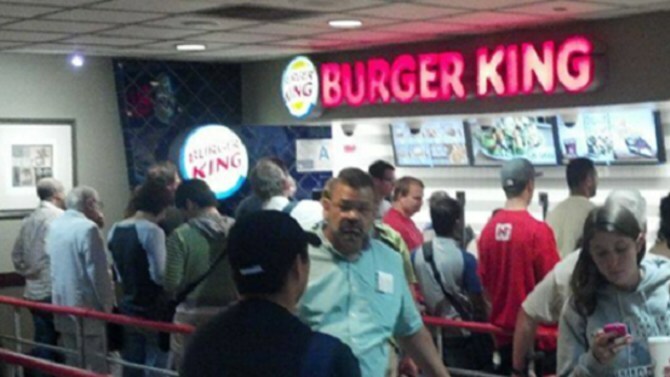 The man, who shared his story on Reddit, said he was in a long line at Burger King when a mother and child got in line behind him. The child, he said, was acting up from the moment he arrived at the fast food chain. The man explained that he tried to get the mother to take her child out of the line, but she didn’t respond well. The complaining continued for several minutes until the man got to the front of the line. Realizing he couldn’t just let the obnoxious child off the hook, he did something that would ensure he’d learn his lesson. “All I can think of is how the people behind me ruined my splurge and gave me this headache. I then decide to ruin their day. I order every pie they have left in addition to my burgers. Turned out to be 23 pies in total, I take my order and walk towards the exit,” he wrote.